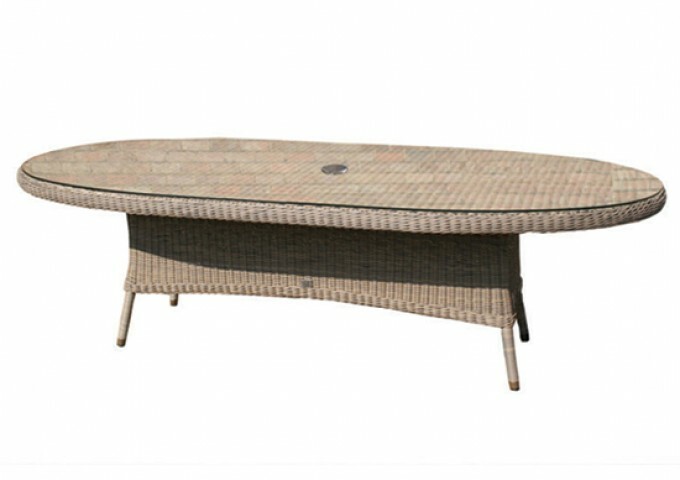 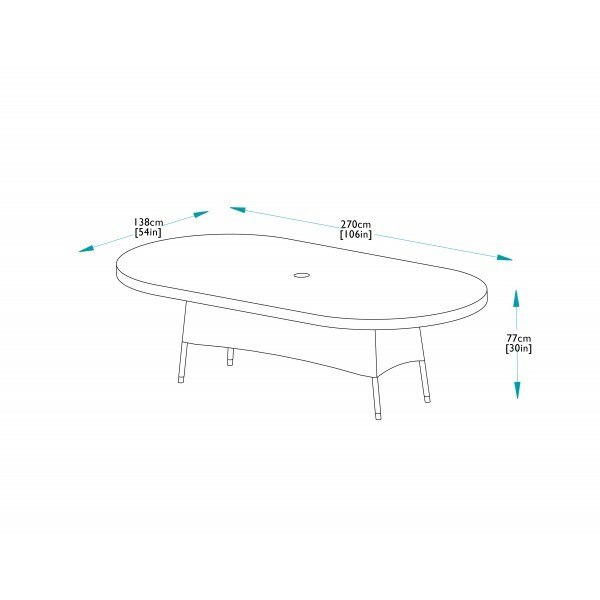 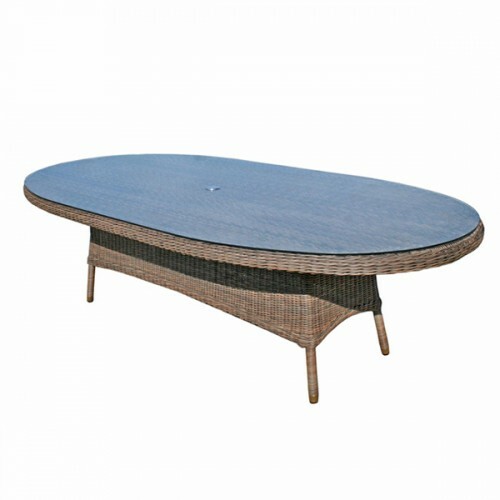 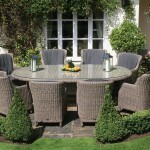 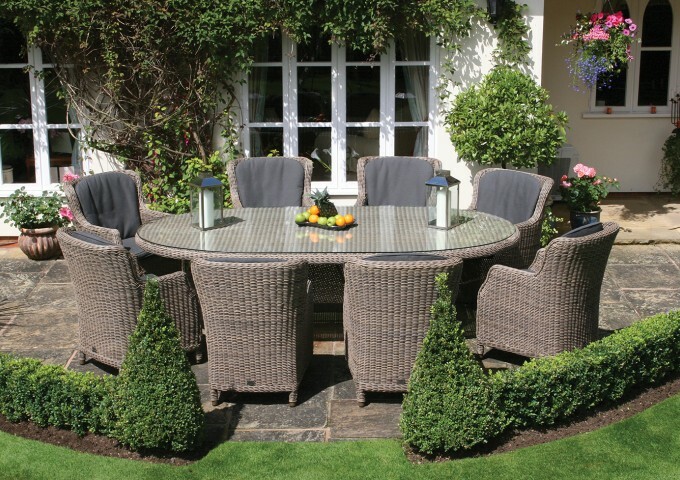 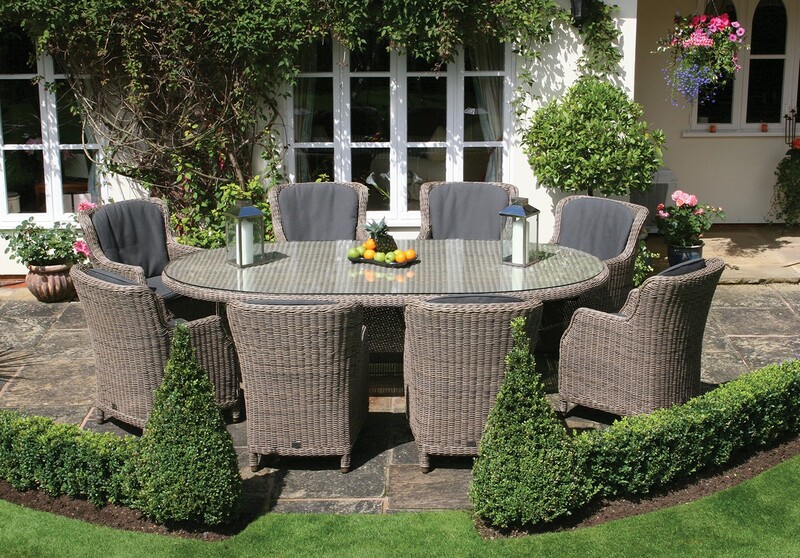 This magnificent rattan garden table with extra thick safety glass is perfect for large scale entertaining. 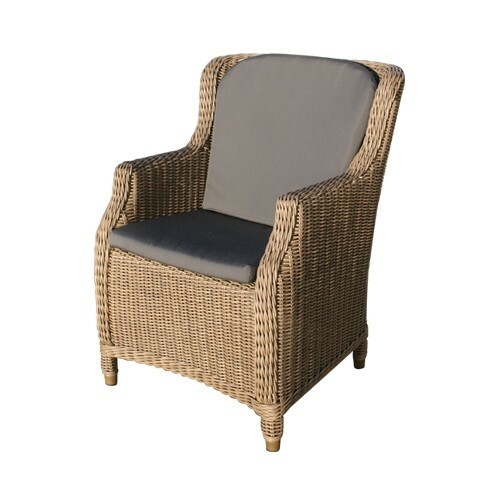 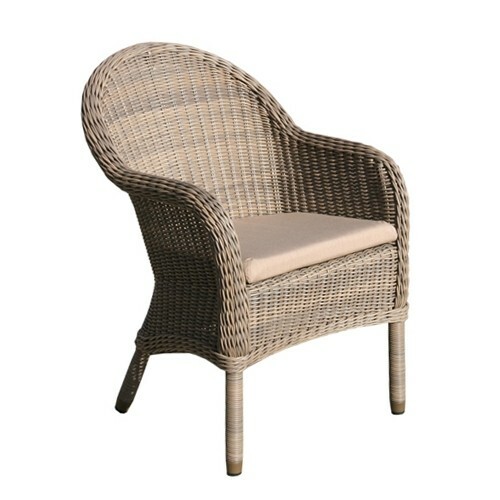 It can accommodate up to ten people using Brighton dining armchairs, or a maximum of 12 people using a combination of Ohio dining armchairs and dining chairs. 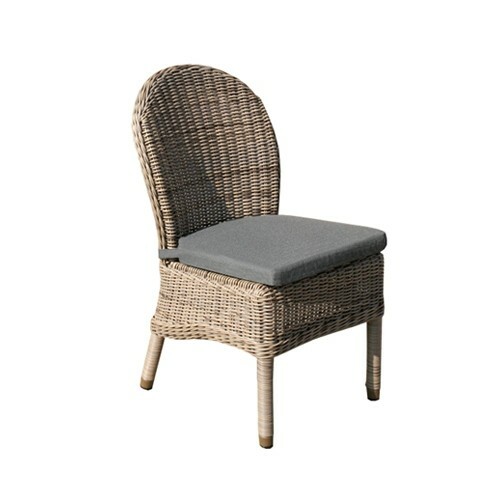 The table is made from the highest quality synthetic rattan weave and is perfectly suited for outdoor use all year round, but also ideal for interior use.